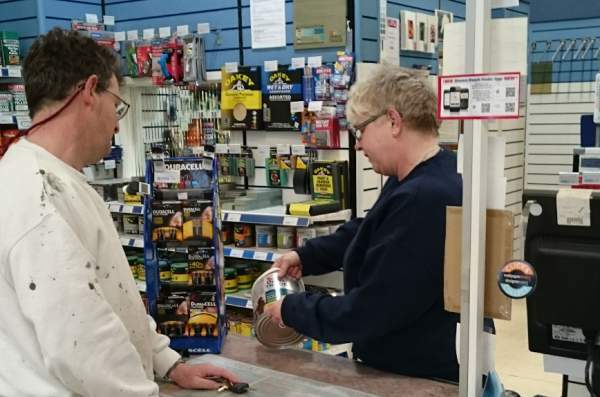 Our Salisbury branch carries a good range of paint stock for trade and the general public, wallpapers and general decorating accessories and equipment. We can order virtually anything into stock within a handful of days. You can rely on our friendly team for any insight you might need into product features and suitability; between the four of us, we have more than 50 years’ experience. We also have a kids’ area, so there’s no need to worry about bringing the children along when you come to choose wallcoverings and designer paints. 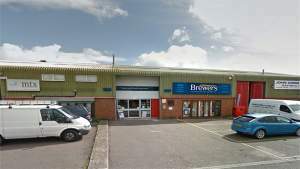 Brewers Decorator Centre is on Bourne Way, directly off the A36 Bourne Way roundabout where you’ll see the signs for Tesco Extra. Go past the Tesco petrol station and we’re over the mini roundabout and immediately left, next to John Cribb & Sons electrical suppliers. Follow the A36 from the South, at the roundabout take the second exit, passing the Tesco petrol station. At mini roundabout go straight across and take the next left into the units with John Cribb & Sons Electrical on the corner. We are situated next to John Cribb. From the West, at the roundabout take the exit signposted Southampton and proceed along the Southampton Road passing Wiltshire College on your left. Continue forward until the next roundabout is reached. Take the first exit passing the Tesco petrol station. At mini roundabout go straight across and take the next left into the units with John Cribb & Sons Electrical on the corner. We are situated next to John Cribb.